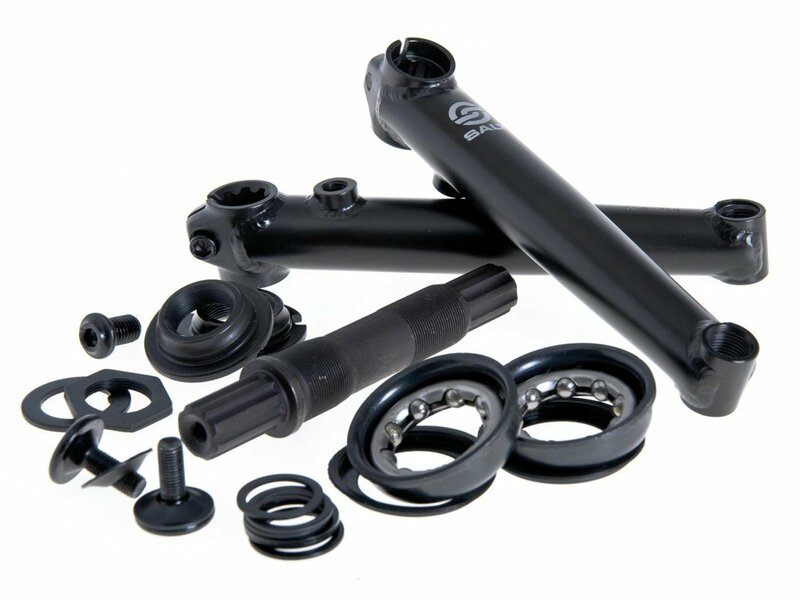 The Salt "Rookie US BB" BMX Crank includes a set of US BB loose ball bottom bracket and is verry affordable. It is made of CrMo which is known for its good stability values for beginner riders. You can ride a RHD as well as LHD style with the Salt "Rookie US BB" BMX Crank .